Happy Friday! Gosh, the weeks are just flying by and man has it been SUPER HOT! 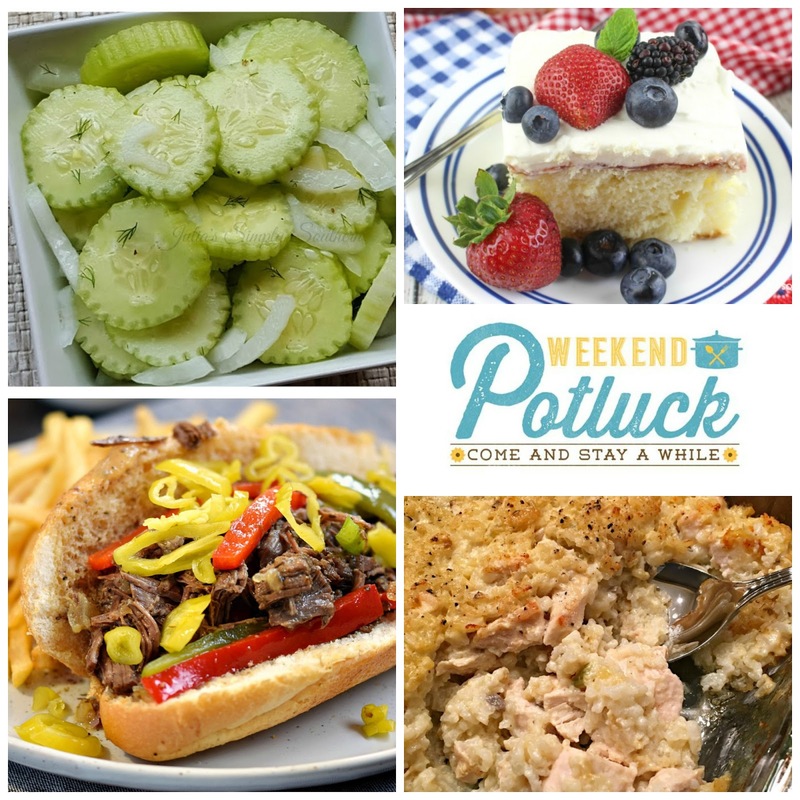 Just like these featured recipes this week. 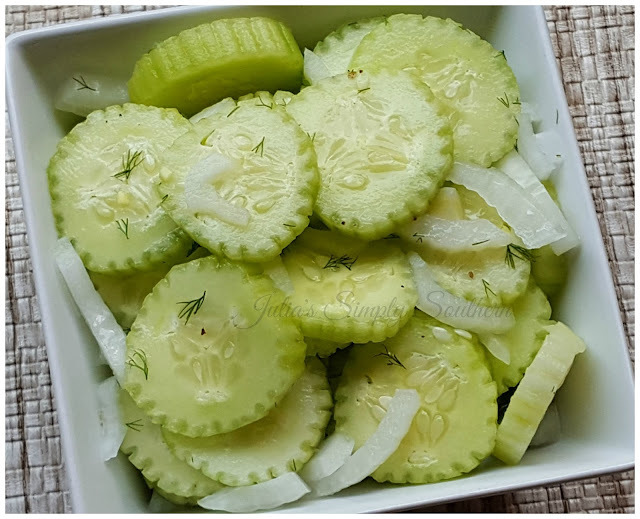 Cucumber Salad grabbed the top spot as the most clicked recipe. This came at a perfect time because my cucumbers in the garden are coming out of my ears! 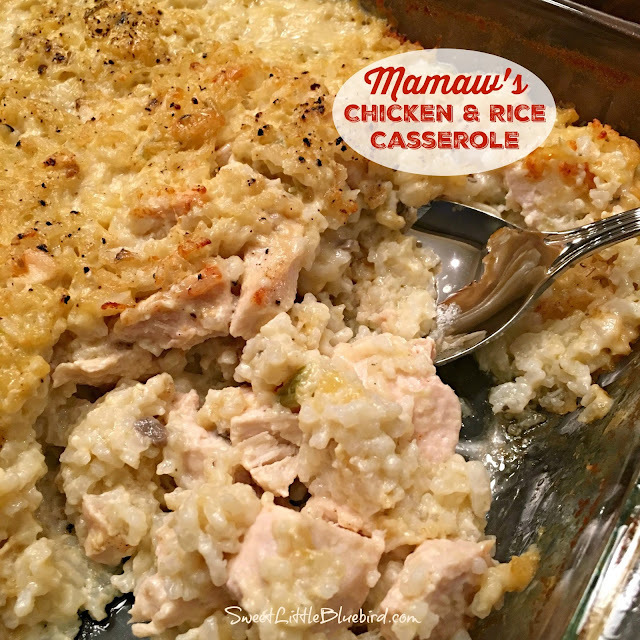 The other featured recipes include Chantilly Sheet Cake, Instant Pot Italian Beef, and the round out the fun, Mary from Sweet Little Bluebird brought along her Mamaw's Chicken and Rice Casserole. Some good eatin' right here y'all! Labels: Chantilly Sheet Cake, cucumber salad, Instant Pot Italian Beef, Mamaws Chicken and Rice Casserole, Weekend Potluck. I am so happy that so many enjoyed the cucumber salad. 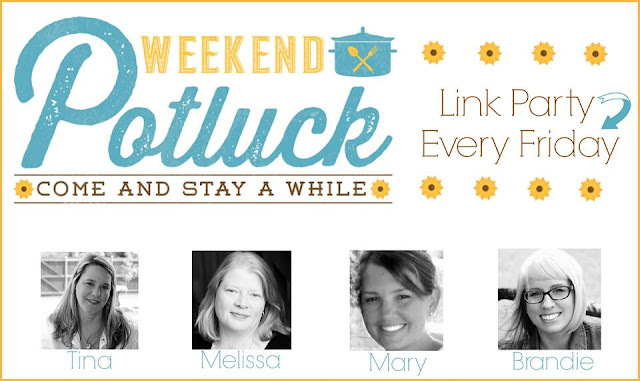 It's always an honor to be featured at Weekend Potluck. Thank you for hosting each week! !